Above is a photo of a new species of Vaejovis. 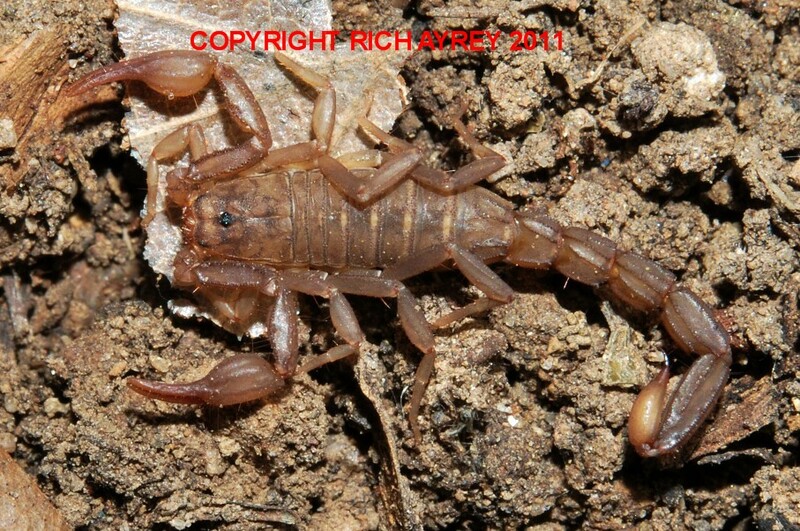 This Arizona Scorpion pic was taken near Prescott, Arizona. Vaejovis crumpi is related to Vaejovis paysonensis and Vaejovis lapidicola. It is a distinct species. Download the description here.. I am very fortunate to have pics of rare scorpions like this one. This Flagstaff Arizona Scorpions site © Rich Ayrey 2011 - 2017. Arizona Scorpions World page created 04/22/2011. Arizona Scorpions World page last updated 01/29/2017.